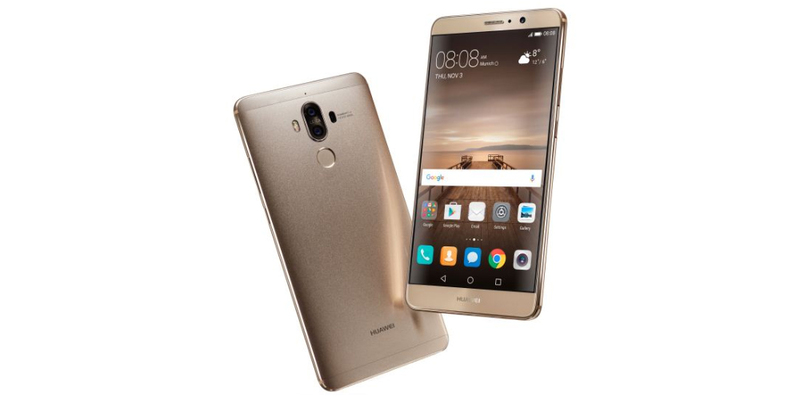 Huawei Consumer Business Group has unveiled the much anticipated Huawei Mate 9 and an exclusive variant named Huawei Mate 9 Porsche Edition. Huawei returns to the development of mobile devices with high performance and elegant design: the new smartphone from the Mate series offers users a new experience to use the Android world, thanks to the processor Kirin 960, one of the most powerful in the market today, innovative supercharger technology and an amazing experience for the user. Among the intentions of the Chinese manufacturer, we find the idea of ​​providing a device built to last in time as it adopts the latest hardware available (the first to adopt a SoC Cortex-A73) offering full compatibility with the new reality virtual platform Google Daydream, full connectivity and all the latest standards (4G and Wi-Fi) and a quick charge system Type-C (Huawei Super Charge) of 3.5-5V/5° which also regulates the energy input to protect the battery and ensure a longer life. In addition, the Mate 9 has a predictive system based on machine learning with a patented algorithm that simultaneously optimizes the management of CPU, memory and storage. In practice, it studies the usage habits of the user apps, allocating more resources to those used more frequently in order to ensure maximum productivity and more streamlined overall efficiency. And not only it offers high performance for business, also for leisure, incorporating an eight-core graphics processor, the new Mali-G71 with Vulkan graphics library, stereo system with dual front exit. The Huawei Mate 9 includes a camera of second generation certified by Leica with two lenses (a RGB sensor of 12 megapixels and one monochrome of 20 megapixels). Optical stabilizer, hybrid zoom and hybrid autofocus (laser, phase, contrast and depth, which allows you to change the depth of field after taking a photo to add drama to the close-ups) and even record video at 4K codec H.265 and noise reduction provided by four directional microphones. As mentioned, the Mate 9 will be released in two different editions. The first with the above specs, and the second version of luxury (in the true sense of the word): the Huawei Mate 9 Porsche Design. It is a 5.5-inch model with 2K screen, with no less than 6 GB of RAM and 256 GB of ROM at the prohibitive price of € 1,350. The Porsche version has a very different design compared to that of its companion, showing a more pronounced curves, either for Android touch controls, or simply by the Porsche logo on the back of the device. The Huawei Mate 9 is the first device from the company to adopt the latest version of Android (Nougat), next to the new user interface EMUI 5.0. Therefore, it is no coincidence that the price of this new phablet is not exactly what Huawei has accustomed us: more than € 700 are not for all budgets -for not mention the price of the exclusive version of Porsche Design. Huawei is already one of the biggest brands in the market and now aims to become the leader.